Howard Denham is a caustic, acerbic critic of Covenant Eschatology, who seems incapable of engaging in honorable, respectful dialogue. Name calling and questioning of the integrity of his opponents is standard fare with him, unfortunately. Denham prides himself on his prowess (claimed) in the use of logic. However, when one looks closer at his arguments, it is quickly discovered that he often, very often, violates the very rules of logic and argumentation that he claims to have mastered. In a recently FaceBook exchange, a minister by the name of Cougan Collins posted a syllogistic argument by Denham that supposedly devastates the claim by preterists that all prophecy was fulfilled at the end of the Old Covenant age of Israel in AD 70. That argument was negated by several posters, myself included. Just recently, William Bell offered some additional thoughts that I think are worth sharing with our visitors. (Incidentally7, we will get back to our series on the Olivet Discourse shortly). Denham’s claim that if there is an “on-going state of things” that this is the continuation of the fulfillment of prophecy, thus, preterism is false. Denham seems incapable (unwilling) of seeing the difference between the results of fulfillment, and the on-going fulfillment. Bell responded to that illogical claim in what follows. First, the New H & E found in Revelation 21 is not ongoing prophecy, but prophecy fulfilled with an ongoing result. <<Howard’s argument is self-destructive. He believes and teaches that the New H & E is yet to be fulfilled at an alleged future return of Christ. So let’s test his sillygism. Major Premise: If it is the case that Rev. 21-22 prophesied an ongoing state of things that is/will be still in effect once they are fulfilled in the future (and they would have to be unless Howard and Cougan only expect to be in heaven for about 30 secs. ), then it must be the case that the prophecy of an alleged yet future fulfilled new heaven and earth will not be completely fulfilled at an alleged future return of Christ. Minor premise: It is the case (per Howard and Cougan) that Rev. 21-22 prophesied of an ongoing state of things that will still be in effect once the “alleged” future return of Christ occurs. (Again, if not, they are arguing for a very short heaven; if it is not ongoing it will be “hell”! Conclusion: It therefore must be the case that an ongoing New H & E means prophecy will not all be fulfilled at an alleged future return of Christ and therefore Howard and Cougan’s view is false doctrine and ludicrous. This must be the case because as long as the New H & E continues per their argument, prophecy will not be fulfilled and therefore never can be fulfilled if the New H & E remains, or they will have to settle for a short heaven and a long hell. And this is supposed to be logic?!? The prophecy of the New heaven and earth is found in Isa. 65:17f and Isa. 66. The time of fulfillment is the time immediately following the great tribulation (Rev. 7:14) of which time it is said there is no more crying, Isa. 65:19; Rev. 7:17, i,e. the wiping away of all tears, which is a covenantal concept and not literal “watery eyes” that apparently is beyond the consideration of many futurists. John was already in the tribulation (Rev. 1:9), which Daniel equates with the time of Jerusalem’s fall and places concurrent with the resurrection and time of the end (12:1-4) and the abomination of desolation (all of which are found in Matt. 24:15-31) and fulfilled in that generation, (v. 34) and which you both agree is 70AD. (So, it’s rather amusing to see how you debate yourselves in Revelation 21-22) without a clue of what you’re doing. 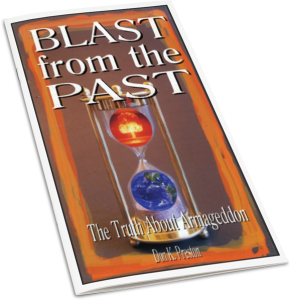 (Note here: For an incredible study of the Great Tribulation and Armageddon, see my Blast From the Past, the Truth About Armageddon. Keep in mind that both Collins and Denham posit both of those events for the first century, prior to the fall of Jerusalem. Yet, as William Bell powerfully notes, the New Creation was to follow immediately after the Tribulation! This is a tremendously powerful and significant point that neither Collins, Denham, or anyone else can refute. The critics are simply wrong). 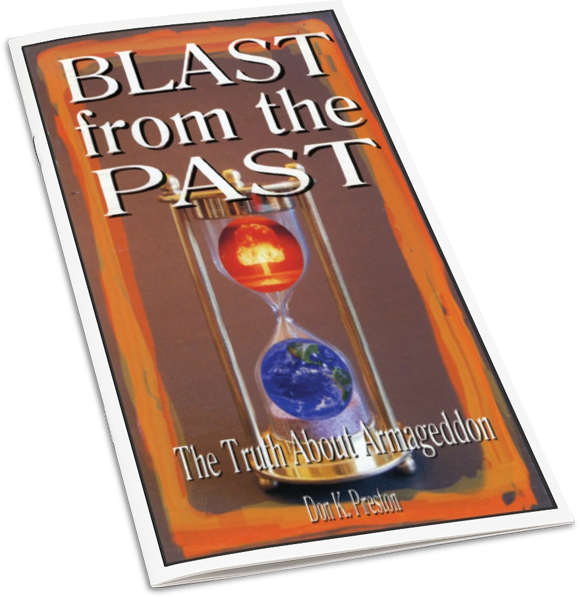 For an incredible, convincing study of the Great Tribulation and Armageddon, order a copy of this book! In the New H & E, Isaiah prophesied that “all flesh” shall come to worship before God. The designation of “all flesh” refers to humanity, i.e our biology not to a post earthly state. Futurists claim “flesh and blood”, i.e. biology does not enter the kingdom, yet, all flesh worships in the New Heaven and Earth, according to the prophecy, i.e. clear proof of Scripture that we experience the New H & E in the present life. (See Jn. 1:12-13 on the meaning of flesh and blood as used in the covenantal resurrection/eschatological context). If Howard and Cougan are not in the New H & E, it must be the case they are not in their fleshly bodies. If they expect to enter it after they die, they must plan on taking their flesh with them beyond the grave, otherwise they will never worship in the New H & E per Isa. 66:23; Rev. 21:24. By the way, whose “corpses” will they look at in the New H & E since the Old H & E and all the “elements” and “works” are burned up per their view of 2 Pet. 3? See Isa. 66:24. Or perhaps all this happened at the cross? To whose “flesh” would these be an abhorrence in that New H & E? For more on the fulfillment of Revelation 21-22 see my Who Is This Babylon? in which I demonstrate, with a wealth of information and evidence, that the New Creation prophecies were indeed fulfilled, and we live in that New Covenant creation today. You will be able to see clearly and irrefutably how critics such as Denham are so off base. 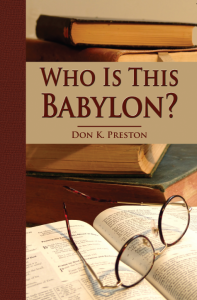 For a great study of the New Creation, see this book!